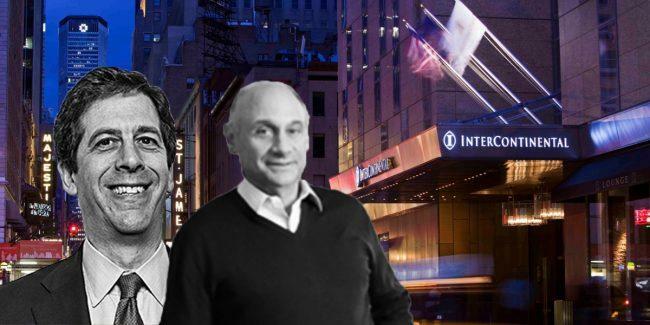 Tishman Realty, a development company headed by Dan Tishman, has landed a $190 million loan to refinance its InterContinental Times Square hotel. Blackstone Mortgage Trust assumed the existing loan, which was initially provided by U.S. Bank in 2014, according to records filed with the city Friday. The lender also provided an additional $7 million gap mortgage. The 607-key hotel opened at 300 West 44th Street in 2010. It was the largest tower built from the ground up in Times Square since Tishman opened the Westin New York in 2002, according to the New York Times. The 36-story building contains a Shake Shack, an 11,700-square-foot space for business meetings and chef Todd English’s the Stinger NYC. Last November, Tishman secured a $57 million loan to refinance the Westin at 270 West 43rd Street. It followed reports that the firm planned a $65 million overhaul of a 240,000-square-foot strip of retail along 42nd Street. The firm oversees more than $4 billion in assets, including hotels, retail and office spaces. The refinancing by Blackstone builds on the firm’s exploding growth. In a February earnings call, the company shared that its loan portfolio increased by 16 percent to a record $11.1 billion amid strong lending in 2017. The mortgage real estate investment trust issued $4.8 billion last year — up 37 percent from 2016. The public REIT is one of two commercial mortgage businesses controlled by Blackstone, along with private fund manager Blackstone Real Estate Debt Strategies. 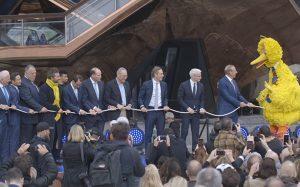 Representatives for Blackstone and Tishman were not immediately available for comment.